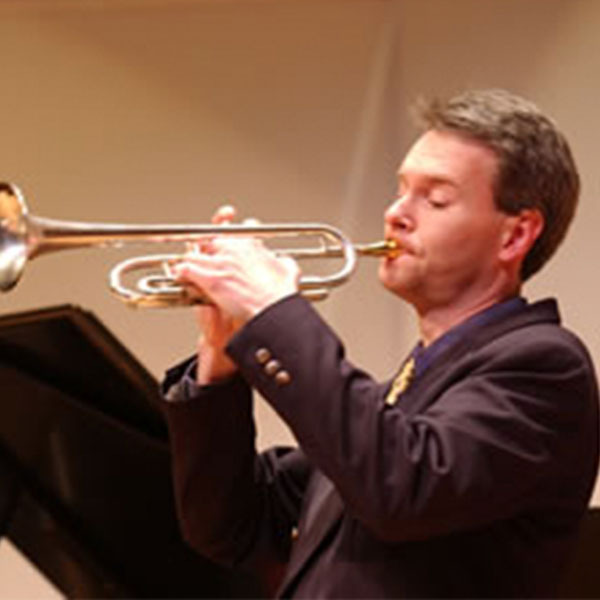 Phil Snedecor, the arranger for the Washington Symphonic Brass, is also the co-founder, manager, and trumpet player for this professional ensemble. Phil attended the Eastman School of Music in Rochester, New York, where he received the prestigious Performers Certificate. While earning his degrees in trumpet performance and literature, he also studied arranging and composition with Professor Rayburn Wright, formerly arranger for Radio City Music Hall. In 2007, Marin Alsop appointed Mr. Snedecor to the Baltimore Symphony Orchestra trumpet section. Before that appointment he had toured with both the National Symphony and the Baltimore Symphony Orchestras, and he often performed with the Kennedy Center Opera House Orchestra. As a musical show player, he has performed in the touring productions of Cabaret, Guys & Dolls, Phantom of the Opera, Beauty and the Beast, Peter Pan, and Evita. He has recorded for the RCA, CBS, Gothic, and Koss labels, and he can be heard most recently on a recording entitled “"The Lyrical Trumpet”II"
with organist Paul Skevington on the Summit Label. His CDs, along with the entire WSB collection of recordings, can be found on iTunes. In addition to his trumpet teaching and performing activities, he writes and arranges regularly for many brass groups. He has also written a series of brass etude books, which are required studies at many college and university music schools. They are available from Robert King Music.